Rocket League is opening a new competitive mode called ‘Dropshot’. It will be available for the PC, PS4, and Xbox One on March 22, and best of all, it’s for free. In addition to that, this new mode will give you the chance to earn more Rocket League items. Dropshot is a mode similar to volleyball. You try to keep the ball from touching the ground on your side. This mode comes with a new stat, Damage, along with the old stats of Goals, Saves, and Assists. Instead of trying to score a goal, your aim is now to destroy the other team’s floor panels. The ball has stages that increase its power to destroy panels. So the longer the ball stays up in the air, the stronger it gets. From being able to destroy only one panel in the first phase, it may be able to destroy up to seven in the second, and up to nineteen in the third. For some reference, it takes two hits from a phase one ball to destroy one of the arena’s panels. With this, I wonder how many ball sports Psyonix can adapt to Rocket League. Maybe a basketball mode is in the works? Or maybe American football? How about dodgeball or cricket? Also, in addition to this new mode, new arenas will be added as well as the ability to paint boosters and finishes. There will be new unlockable crates, including a new turbo crate. There will also be the release of the limited edition Endo battle car, along with the release of the rewards for the Competitive Season 3. So play on! 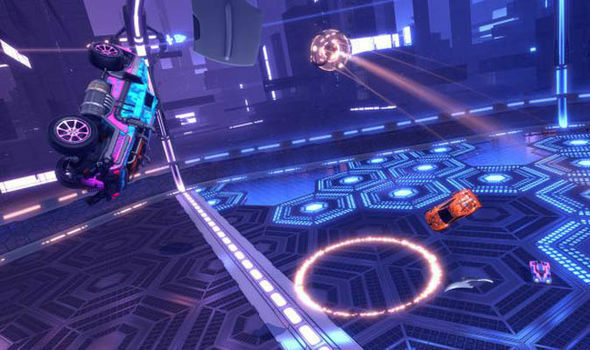 Playing matches (online or offline) gives you the chance to earn Rocket League items or crates. Get practicing for the new modes and arenas. Who knows, you might get a sweet limited edition item.